Always subtly elegant, H. Moser has released a model that combines its general muted refinement and a completely different way of doing things. A disc with the minutes across a 240º arc interacts with three hour discs arranged around it. The appropriate hour shows in white, while the other fade into the rich blue background of the dial. The discs are all constantly in motion, performing a slow, compelling ballet. A raw-finished beige strap underscores the piece’s elegance. 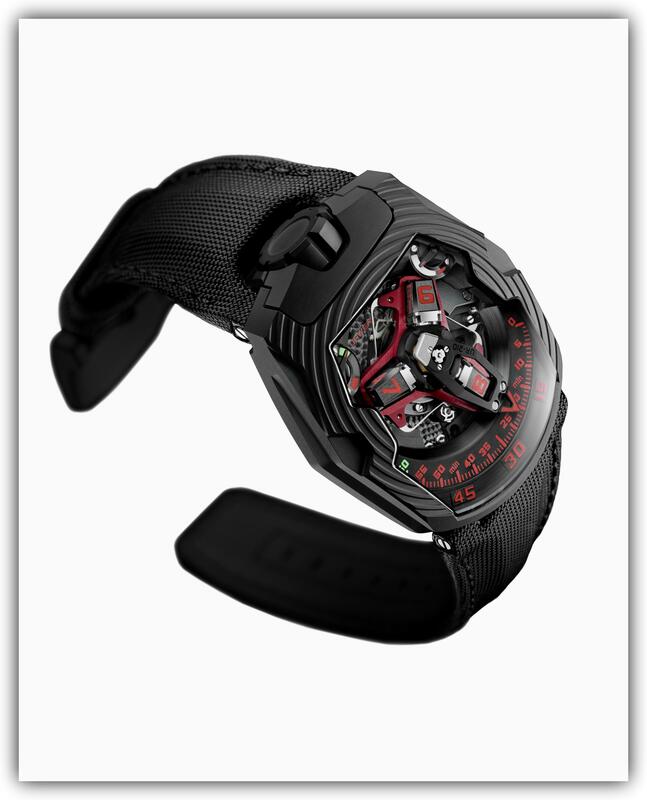 Named for the sci-fi classic, Hautlence’s Vortex Gamma Tron looks like something an ambitious set designer might dream up for a futuristic epic. 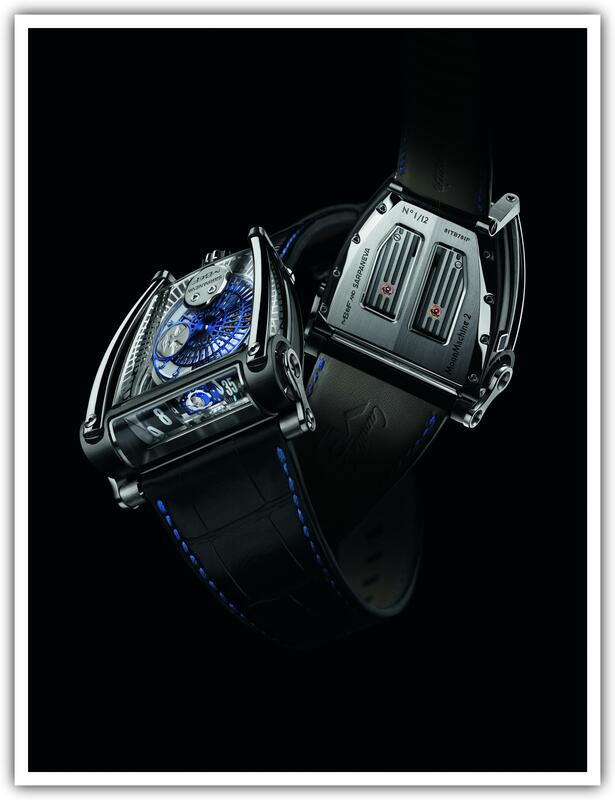 The case is crafted from six three-dimensional sapphire crystals, with contrasts between the blue and white elements, and luminescent outline effects that recall TRON . Retrograde minutes dominate the middle of the dial, with Hautlence’s infinity logo at the center of it all, rotating with the minute pointer. A jumping hour chain at the lower left and a power reserve display arc in the upper right complete the fascinating set of indications. 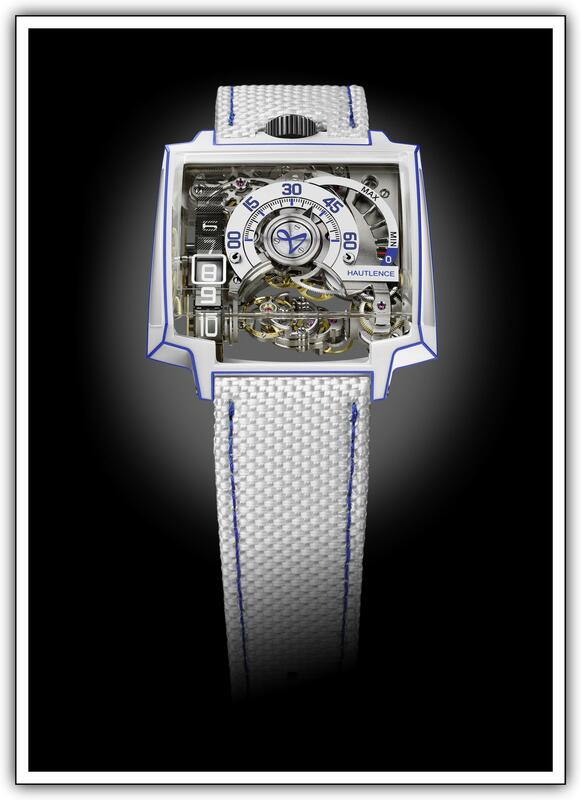 The high-tech, loose-knit white fabric of the strap complements the case and dial, down to the bright blue stitching it uses. MB&F collaborated with Finnish watchmaker Stepan Sarpaneva to bring us this innovative, moon-focused timepiece. Like the Horological Machine Nº 5, the Moonmachine 2 features a bottom-edge, or “heads up,” as the brand likes to call it, time display, with hours, minutes and moonphase displayed at the edge of the case. An optical prism refracts these elements, projecting them to seem as though they are perpendicular to the engine, and magnifying the hours and minutes by 20%. Ressence long ago abandoned traditional hands, using their lack as the basis for a watchmaking philosophy. Its perfectly smooth dials (adjusted to the micron) present instead a deceptively simple series of circles nestled inside each other, all operating on precisely the same plane. 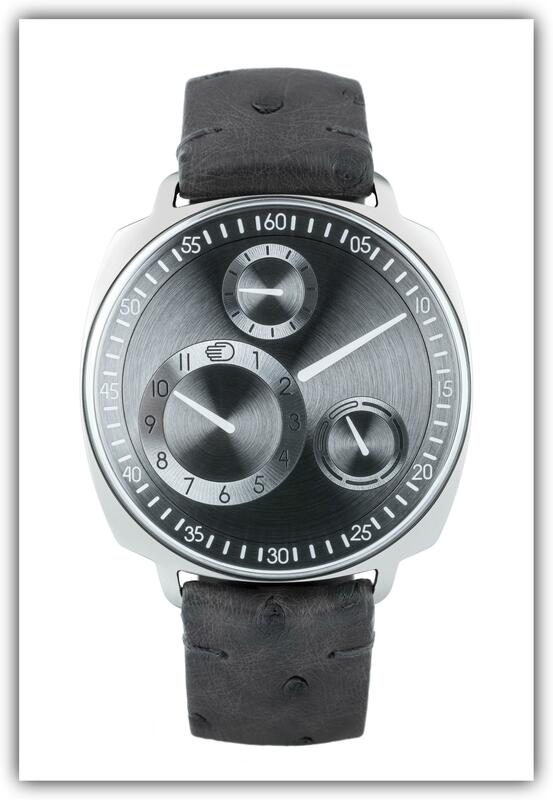 The crown is gone, replace by a system wherein the user winds and sets the watch simultaneously using a rotating caseback. 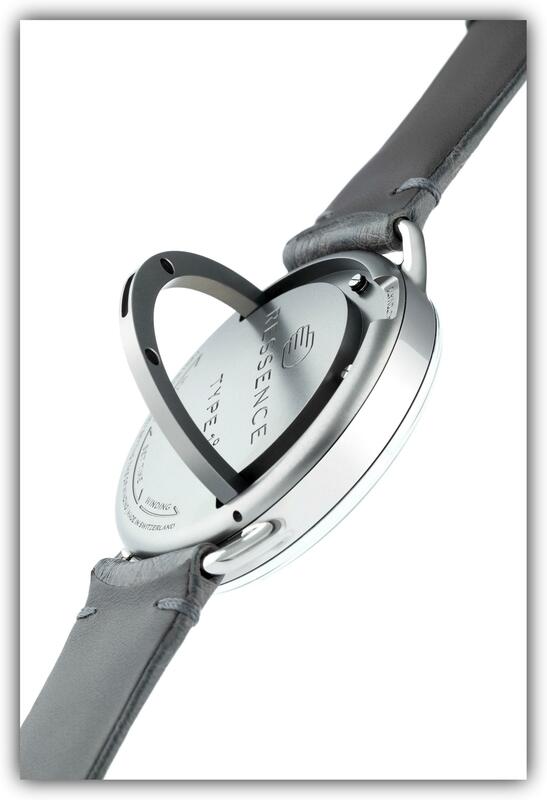 The Ressence TYPE 1 2 uses a cushion-shaped case in stainless steel (42mm), while the Ressence TYPE 1º is housed in a thinner, round case in titanium (41mm).